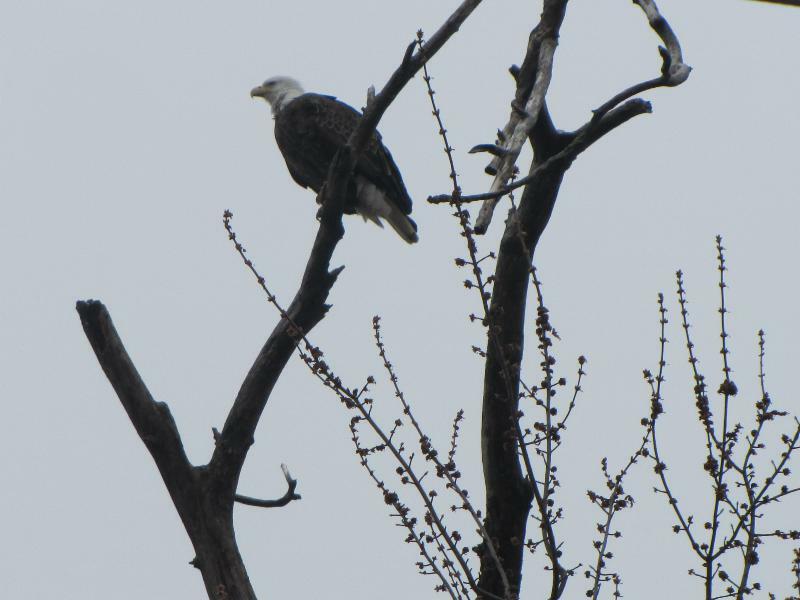 Near Pere Marquette State Park north of Grafton, Illinois we saw a magnificent bald eagle in the top of a tree. What a treat to see our National Symbol in the flesh, er….in the feather. Info boards at the park said that in the year 2000 there were 43 active nests of bald eagles in Illinois. ← A German WWII Buzz Bomb in Greencastle, Indiana? ?